The term 'Griffiths Valuation Books' covers the library of materials created by the Valuation Office both before and after publication of the Primary Valuation of Tenements in the mid 1800s. It includes books used by Richard Griffith's valuers in the lead up to the great land survey, during the survey and – very importantly – SINCE the publication of the survey results. These pre- and post-publication manuscript books are not a researcher's first port of call, but can be extremely useful for further research after studying the Primary Valuation of Tenements. Griffith's Valuation was published county-by-county between 1847 and 1864. Both before and after each publication, manuscript books were produced to record all manner of features about the properties and land-holdings, and to record subsequent changes of ownership. These books – made up of Valuers' Notebooks and the Cancelled Land Books (referred to as the Revision Books by PRONI) – can be rich sources of advanced research. Even so, they won't be of interest to all Irish genealogists. If you can readily identify your ancestors in the Primary Valuation of Tenements you will probably not need to do any more digging. Nor may you want to. Are you new to Griffith's Valuation? This page deals with fairly advanced research. If you're new to Irish land records, or just want a good overview of what this resource offers, start on the Griffith's Valuation page and get to grips with the Primary Valuation of Tenements first. But your curiosity might have been roused. You might now want to know what use the land was put to, or what the house was like, or if and when the family moved away. On the other hand, if you know the correct area for your ancestor but can't find him in the Primary Valuation of Tenements, rooting around in the books may well help you to unravel the mystery. You will, however, need to know the area you want to explore. Griffith's Valuation was a land survey, and all the accompanying manuscripts are organised by location. As is always the case in genealogy research, a good understanding of the resource is the key to getting every last drop of information from it. And Griffith's Primary Valuation, with all its many parts, is a prime example of this. So this page goes a bit deeper than the Householder List and the printed Valuation of Tenements. It deals with the Valuation books produced before and during the survey. For details of the valuation books produced SINCE Griffith's, see the Cancelled Books (Revision Books) and Current Land Books page. How was Griffith's Valuation produced? Dates of publication: click for larger view (215kb). It is fair to say that Griffith's Primary Valuation was more than 20 years in preparation before the first tranche of the Primary Valuation of Tenements (for County Dublin) was published in 1847. It was to be a further 17 years before the final tranche of the survey was published to complete the Primary Valuation for the entire island. 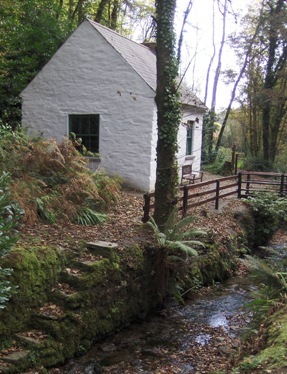 The project was effectively commissioned in 1826 when the Townland Valuation Act was passed. The Townland Valuation survey got underway in the north of Ireland, with the intention of cataloguing and assessing every single parcel of land and building within each townland. By 1831 it had become clear that this was just a bit too ambitious for the department to undertake so it was decided that only properties or land with a value of over £3 would be included. This first phase lasted until 1838. With only the northern counties fully assessed by 1838, it was obvious that the survey in its current form was going to take a very long time to complete. To speed things along, it was decided to raise the threshold of value for properties to £5. This second phase reduced the workload considerably as there were relatively few buildings of this calibre. This was the third and final phase leading to publication of the county-by-county Valuation of Tenements. Each of the 300-odd volumes that make up the Primary Valuation had an individual publication date, typically within six months of the district survey completing. See the map for approximate dates. As explained above, the first Valuation Act was passed in 1826 prompting a survey and assessment of all Ireland's property and estates. This early survey was not printed and the surviving records are in manuscript form as Field and House Books. The valuers were mainly concerned with agricultural land. They went from parish to parish, describing each one in a notebook and recording the quality of the local soil. 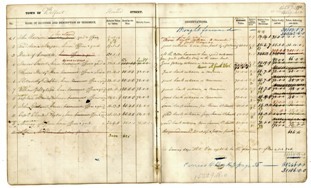 In rural areas, householder details are less frequently recorded in these valuation books; the gentry and some better-off tenant farmers were usually listed, but the poorer tenant's property rarely met the £ value criteria. In urban areas, however, more properties reached the threshold, so more householders were recorded. Belfast Valuation Books c1830s – click image for larger view. An example worth noting is the c1830 street by street Valuation of Belfast (see left) which provides researchers with outstanding detail about the heads of households at that particular time. Along with subsequent notes of changes of tenure, researchers can identify generations and narrow down dates of death. Details from the early Townland Valuations were not included in the published Griffith's Primary Valuation of Tenements. Only the details current at the time of the Griffith's survey were included in the Primary Valuation of Tenements. Valuation Books are arranged by parish. 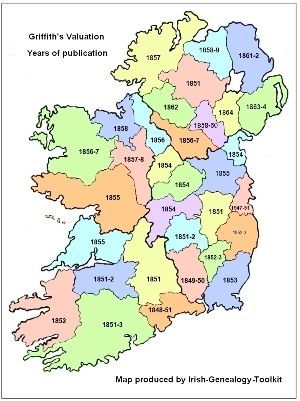 You can identify the appropriate parish of any given townland at the Townland Database. The manuscript records of the valuers are spread across three repositories: the National Archives of Ireland (NAI) and Valuation Office (both in Dublin) and PRONI (in Belfast). Although PRONI holds the majority of the material relating to the six counties of Northern Ireland, some northern material slipped through the net and can be found at the National Archives of Ireland and the Valuation Office. The latter's collection is relatively small. A crucial part of the project was the mapping of Ireland. Carried out by the British Army Royal Engineers, a detailed map at the scale of six inches to one mile was created. It was the first time an entire country had been mapped. It allowed administrative boundaries to be established and identified all features and buildings on the land. Each occupier's reference can be found on the relevant Ordnance Survey maps (which survive intact), allowing genealogists to identify the exact piece of land their ancestors lived on. Field Books recorded information about the size and quality of the soil of an individual holding. If you're lucky, you may also find head of household names recorded, too. These books were used to gather details between 1830 and the early 1860s, the exact information gathered changing with each piece of legislation during these years, and they do not all survive. The NAI holds books for the Republic and some of the books for Northern Ireland. PRONI holds most of the books for Northern Ireland counties. The NAI collection has been digitised. See below. House books were compiled between 1830 to around 1844 and often record the occupier's name. They also record details of living conditions, not just in terms of space but also the materials used for walls and roofs, and of outbuildings. Some even include sketches of the property, barns and outbuildings. These Valuation Books are, therefore, the most interesting for family historians. The NAI holds books for the Republic and some of the books for Northern Ireland. PRONI holds most of the books for Northern Ireland counties. The NAI's collection has been digitised. See below. Tenure books recorded the legal basis of the property or land holding and the starting date of the lease/will, and the annual rent paid. These date from 1844 only. Rent books recorded rents paid. This information was used as an aid to valuation. The books date from 1844 only. Quarto books covered small and medium-sized towns from 1844. The NAI's collection has been digitised. See below. Perambulation books recorded the visits made by the valuers from late 1844 to the early 1860s, according to area. They always pre-date the published version of Griffith's Valuation. For example, the perambulation books for County Cork pre-date publication of Griffith's Valuation in 1848. These books can be very useful for finding ancestors who don't appear in the published version because the valuers listed tenants/occupiers who held land collectively ie by rundale and those who were leasing city tenements for periods of longer than one week. The National Archives of Ireland's collection of Valuation Office Books is free to search and view. 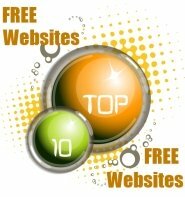 See my personal selection of the very best free online databases for Irish genealogy research. Click image. Break the code: a masterclass to help you decipher the detail in Richard Griffith's Primary Valuation of Tenements. Post-publication Valuation books – Revision Books, Cancelled and Current Land Books. See more Land & Property resources. To Irish Genealogy Toolkit Home.